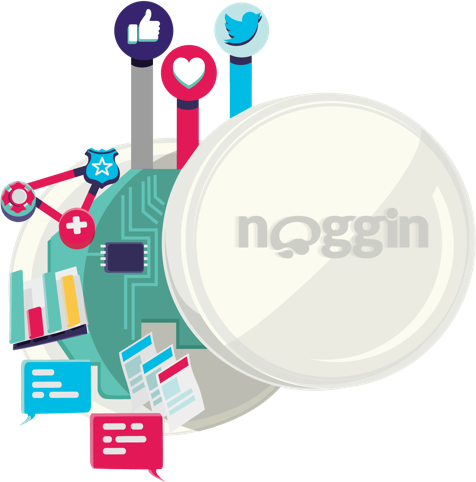 Noggin is a company with some 90 staff globally, with offices in North America, Europe, New Zealand, and Australia. In 2009, Noggin turned to solve the big problem of incident management and organizational resilience. Our goal was to help people manage disruption, smarter. We wanted to do it exceptionally, and make a difference along the way. We bootstrapped it, off our own initiative, and have a formidable software product and reputation. We've topped analyst reports into crisis management, and won resilience awards. And more importantly we've enjoyed ourselves, and we've met a lot of really great people along the way. So, our product development came out of Australia, a fact of which we're very proud. Australians are a melting pot of resilient fellows. Probably more disasters and extreme weather per capita than your average nation state. Perhaps more importantly, it's home to lots of animals that will kill you. So no surprises that resilience comes naturally. Since that time, the Noggin platform has been battle tested in some of the biggest disruptions to communities and corporations the world over. We've grown the product capability and the Noggin reputation for no BS, rolling our sleeves up, and getting on with the job, and simply doing things smarter. We look to the best and brightest, to help us fulfil the vision of managing disruption smarter. That takes dedication, intelligence and generally awesome staff. Noggins work hard, and are committed to going further on projects and above all, personal excellence. 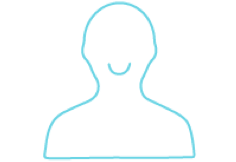 Noggins have an ethic of service to our customers and making their experience as overwhelmingly good as possible. Manage disruption, smarter. If we can do that, our communities and corporations will become more resilient. We can leave our lives knowing that we had an impact on making the world a better place, that communities can get on with the job of living, and corporations can get on with the job of doing business. That's not something every person can do in their lives. A lofty ambition? Perhaps. But a good one to strive for. Keep your mind in the clouds, but your head on the ground. We like to dream, but we're also pragmatic. Pragmatic naivety, if you like. Lateral thinking is all about not being so bogged down in the problem that you can't see those new connections that can make a software experience go from good to great. To borrow from James Carville's campaign phrase for Bill Clinton. "It's the economy stupid", we like to keep our focus on the user and customer experience. Experiences in life should be good, particularly when you're helping protect other people's lives, and particularly with software. Software needs to solve a problem, not create one. Focusing on the user, stupid, is the smarter way. 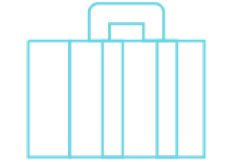 Don't be a baggage handler. Otherwise described as - "if you're not adding value, you're not doing your job". 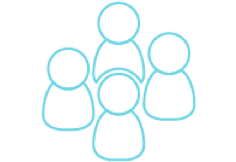 We expect our Noggins to challenge ideas, think about the problem at hand and turn up to meetings with a point of view. If not, then you're just passing baggage. And I can find a person for that. Die with a smile on your face. Life is not a zero-sum contest. If you're going to do something, particularly in technology, do something where the net benefit on the community is positive so that when you shuffle off this mortal coil, you do so with a smile. And on the way, make sure that every day is a positive experience because happiness is not something that you can put off. You never know when that bus is coming. Our leadership team is a dream team of MVPs. Connect with us on LinkedIn below.